As a marketing consultant who manages campaigns and works with support teams when there are problems, I encounter customer “touch points” nearly every day. I try to think about how the customer will feel in a given situation and provide the flexibility to meet their needs and desires while staying within business and technical constraints. In a world that’s largely dominated by social media, I realize that you can’t always give the customer what he wants. If you do, the customer may post about it publicly to Facebook, Twitter, and public forums, and you’ll be quickly deluged with people demanding the same. On the other hand, if you treat the customer like she doesn’t matter, she will become bitter or angry, and you may lose her. Here are three personal experiences that I had this past week that illustrate the point that sometimes the customer is generally at least partly right. On impulse, I decided to purchase a new cable modem that was on sale at Costco and was being marketed as compatible my Comcast Internet service. If you don’t know, Comcast charges you $7 a month to rent a cable modem from them. That modem retails for, at most, around $200. So after a year and half, you’ve likely paid it off – but Comcast keeps charging you ad infinitum. Even with predatory rent-to-own stores, you’ll someday get to own the item you agree to pay high interest on. But not so with Comcast modems. I called Comcast to activate the new modem and the uncharacteristically friendly tech support rep told me that the model I had bought would not work with my telephone service (part of their “Triple Play” package that supposedly saves you money by bundling cable TV, Internet, and phone service). She steered me toward two modems she promised would work with our phone and Internet services, and I went to Amazon and ordered one from a third-party seller who also stated the modem would work with Comcast. As expected, Costco accepted the return of the first modem without question (they are a company that really understands the value of good customer service), so it was only a matter of waiting a few more days for the “right” modem. The day the modem arrived, I tried to reclaim access to my Linksys router – but that’s another story (see below). Once I had the router squared away, I called Comcast tech support back. You’ve probably heard the horror stories about Comcast support, or perhaps you’ve lived them. We’ve never had any real issues with their service apart from the high cost and what seemed to be the occasional throttling of streaming video (back before Netflix paid them off for preferred traffic priority). My first tech support rep told me to go ahead and plug in the new modem and connect all of the cables, and it’s a good thing she did. Over the next 30 minutes I went through two techs and two escalations, and both times they told me that the modem just wasn’t supported and could not be activated in the system. The first rep told me that it was a first-party modem that only Comcast was permitted to provide, and she all but implied that I had purchase stolen goods. The second tech said it had once been a supported model but was recently dropped from the list of modems they could activate. Either way, it seemed, I was screwed. Back when the Costco modem failed to work, I briefly considered cancelling our phone service so that it would work and we’d get an instant Internet speed boost - but the solution suggested by Comcast seemed better, for now at least. While sitting on the phone with these tech support people, feeling blocked on my second modem in a week, the urge to cancel the phone service returned stronger than ever. I could return the modem to the Amazon seller and buy the Costco one again. I’d move our home phone service to a local provider who might even be cheaper or at least easier to work with. I wasn’t ready to cancel Comcast altogether but I did consider that briefly as well. Where we would we go to get both expansive TV offerings and high-speed Internet? Back to DirecTV? Unlikely but it might be worth a look. When I hung up with the second tech, it was feeling futile. I disconnected the new modem and then… looked over at my computer. On the screen was a Comcast page saying they had detected new hardware and would I like to activate it? I quickly plugged the new modem back in, waited a few minutes for all of the lights to stop blinking wildly, and then clicked the button to provision the new modem. 15 minutes later it was done and I was connected to the Internet with substantially faster service. I laughed out loud about the fact that while a tech was insisting that what I expected from them was impossible, their own network went ahead and authorized it. Clearly the modem is supported, but the tools the techs use to provision modems appear to be constrained to a very small list of specific models. Offer to replace your modem every 2-3 years. Comcast begins turning a profit on the modem rental about midway through the second year. Sending you a faster, better model every few years provides value for renting vs. owning. It would be similar to leasing a car and trading it in every few years for a shiny new one. Offer rent to own. After two years (once you’ve covered the cost of the modem and a reasonable amount of financing), the modem would be yours to keep and the monthly charge falls off your bill. Just the sight of seeing a cable bill go down instead of up could earn some customer loyalty points! I’d even go as far as to build a marketing campaign around this – “Why did my bill just go down?” – that explains what happened and offers the customer the opportunity to trade up for a new, faster modem. Allow customer support more leeway to activate modems. The cost of repeated support calls and customer frustration doesn’t earn Comcast anything but ill will. If nothing else, let the customer support rep explain the possibility of auto-provisioning, even if it may not work in every case. It certainly did in mine, and I’d bet it works consistently enough to build a customer service script for it. Before I tried to activate the Comcast modem, I decided I better get my router in order. Without a working router, most of the computers and devices in our home office would be stranded without Internet. My 2-3 year-old “Cisco” model (which, I learned, Cisco no longer supports since it divorced Linksys) was showing its age. WiFi connections on our many portable devices frequently get dropped and, generally speaking, a new router every few years is a good idea to further boost Internet speeds. I had been planning to replace it in the next 1-3 months anyway, but for now I just wanted to login to my existing router just in case it needed to be reconfigured to work with the new modem. Nothing worked. I tried connecting via the Web page I’d bookmarked but couldn’t find the password I had set to get in. It appeared to need new firmware but I couldn’t update it without logging in first. The software that I had previously installed to connect to the router no longer would, and the newer version I downloaded from Linksys’ site also seemed unable to see the router. Yet my Internet connection going through it was fine. After a couple of hours wrestling with support FAQs, I finally did a factory reset – which should have let me start over as though it were a new router. Alas, that didn’t work either and doing so killed my Internet access entirely. Cisco sent me to Linksys, which recently did away with chat room support (which would have been great for this sort of issue). I called phone support and the Linksys rep offered to do a “hard reset” remotely but only if I paid $30 for an out-of-warranty incident fee. I can understand that Linksys can’t afford to support their products indefinitely for free. But from my point of view, they were charging me to overcome their mistake. A factory reset should have fixed, not bricked my router. Their software completely failed to connect with it. They were demanding to charge me to overcome a problem with their own shoddy software. At first I acquiesced and started to provide my credit card. But when they said they would need to transfer me to another department to enter my card number, I balked. Go away and then restart the process with another support rep, $30 lighter? No thanks. By then I had realized I could throw good money after bad, or I could invest the $30 into the new router I had been scoping out. I ran to Best Buy and picked up a Netgear router that is much faster and (so far) more reliable. Waived the $30 incident fee. When the support rep realized I was agitated at what I perceived to be their failing in offering any sort of fix-it-yourself path, they should have offered to do the hard reset for free “just this once.” I’m a savvy router user, and this is the first time I’ve been locked out of a networking product with no way to get back in. I felt like they had me over a barrel, and the only solution was to pay or ditch the barrel. Offered to sell me a replacement model. Clearly I’d be happier with another router that is in the same category, only newer and faster. Rather than throw good money after bad with the old router, I could throw that good money their way – but with a benefit for both of us. They could quickly match me up with a comparable router or two, and offer a small token “loyalty” discount. The only problem there is that I needed a working router that day. They could email me a manufacturer’s coupon I could take to Best Buy or Fry’s, or offer to overnight me the router if I was willing to wait a day. Or, better yet, offer to help me fix my existing router for free while I waited for the new one sent at normal shipping speed. Instead, Linksys is now the last on my list of router makers I will consider when it’s time to upgrade again. No more. That image has been tarnished, perhaps irrevocably. About a month ago, I received an odd call from Nat Geo. They wanted to send my son his free gifts for being a subscriber (I vaguely remember seeing similar gift offers for magazines, but I didn’t sign him up for this one). They just needed to confirm the mailing address was still accurate. A red flag went up: They send us a magazine every month. Surely they’d just send the gifts to the same address, right? But they already had my address on file and it was correct, so I confirmed it. Then they wanted to confirm that it was all right to send the two gifts: a map and an educational DVD. The customer support lady assured me that we were not being signed up to receive any further DVDs, and that this was not a club enrollment. If we liked the DVD we could sign up to get more. With warning lights and alarms buzzing in my head, I grudgingly went ahead and gave approval to get the bonus items. Last week, the package arrived. There was a map, a DVD, and a bill for $14! I called Nat Geo support and told them the story. They quickly canceled my club membership, and urged me to keep the map and donate the DVD to a school. (My son tells me that his 6th grade science class had just watched that same video, so I’m guessing that a neighbor went through a similar ordeal before us.) The support guy went as far as to try to sell me another plan that was less frequent and then a specific individual DVD while he had me on the phone. The first call alone shook my trust of National Geographic. I could tell something was fishy. I don’t know if this was a “rogue” telemarketer trying a Tin Men-esque scheme to improve her monthly sales numbers or a manager’s scripted idea designed to boost sell-through by increasing the subscription base under false pretenses and then having support reps quickly apologize to those who complain. Considering the quick apology and ready-made process to resolve (along with the attempt to get me to keep the subscription while making it less frequent), I suspect it’s all been carefully scripted and choreographed. Either way, my trust in Nat Geo is gone. I will cancel our subscription the second my son stops reading the magazine. Call it what it is. 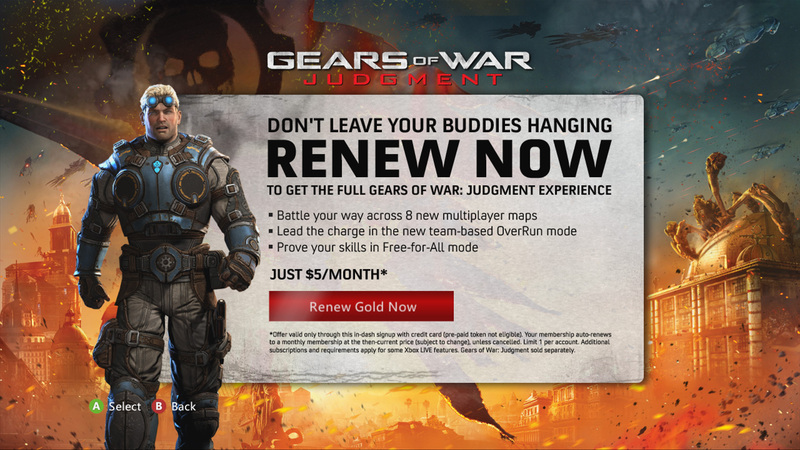 You’re signing up for a DVD club with a free map offer. Most people will decline but those who accept will have done so based on your product’s perceived value and not because they were duped. Make it trial. First taste is free, cancel anytime. We’re used to this sort of arrangement and inclined to block it unless it’s something we consider truly valuable, so this would only get middling results. But they would be honest results. Make it a real gift. First taste is not just free, it’s a reward. If you like that reward and want more of the same, include an offer to sell both individual titles and, for a small but notable savings, get DVDs sent to you monthly or quarterly via the club. Putting yourself in the customer’s shoes is a good way to validate whether your marketing campaigns and customer support processes reward or unnecessarily punish those who purchase or subscribe to your offerings. I recommend you think of ways to at least reduce the sting of your policies particularly in places where the customer is likely to arrive upset or agitated. Or reap the whirlwind when the customer leaves and badmouths you on social media. Because no matter what you might think, the customer is always right – at least in his mind. The Bill & Melinda Gates Foundation published a series of grantee profiles highlighting projects financed in part by The Foundation. This profile focuses on U.S. President’s Emergency Plan for AIDS Relief (PEPFAR). The Bill & Melinda Gates Foundation published a series of grantee profiles highlighting projects financed in part by The Foundation. 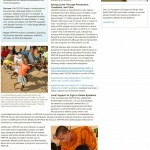 This profile focuses on The Global Fund to Fight AIDS, Tuberculosis, and Malaria. This profile, published on The Bill & Melinda Gates Foundation website, highlighted a polio vaccination project being conducted by grant recipient Rotary International. This blog post, written on behalf of Microsoft Research, explores how the “SenseCam” is helping patients with memory loss document and revisit their daily lives. One-sheet case study produced for Microsoft Research. 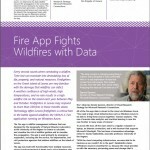 This story explores how technology has improved response times during the annual wildfire season in Greece. 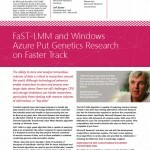 One-sheet case study produced for Microsoft Research. The story explores how a new computer algorithm has accelerated data processing times in genetic research labs. 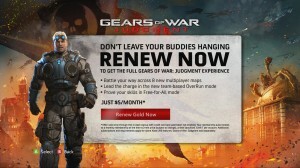 Co-branded Xbox Live Gold retention campaign featuring Gears of War: Judgment. 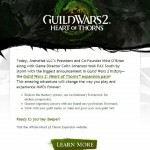 This page was used to introduce audiences to Guild Wars 2: Heart of Thorns, the first expansion for the MMO. 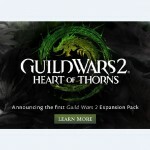 This email blog post was published on the Guild Wars 2 website following the formal announcement of Heart of Thorns onstage at PAX South 2015. 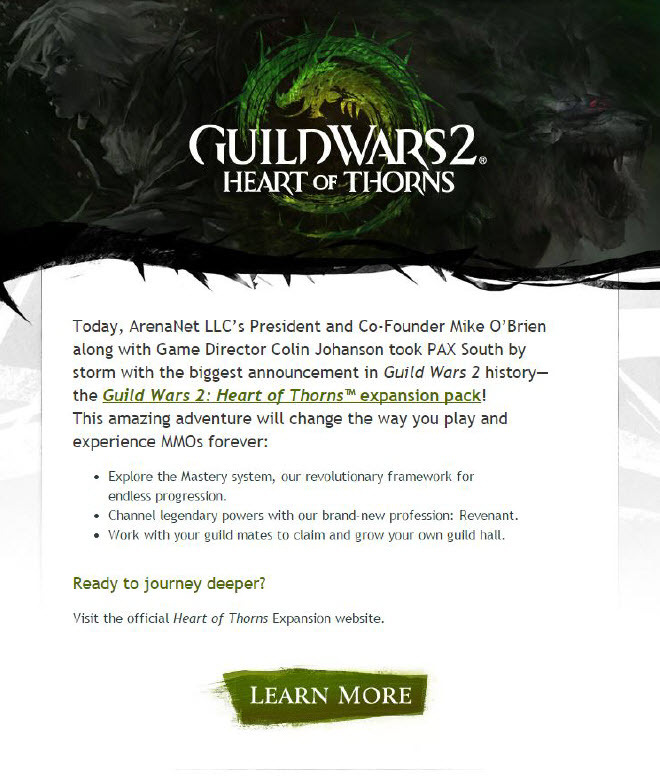 This email was sent to Guild Wars 2 email subscribers following the formal announcement of Heart of Thorns onstage at PAX South 2015. 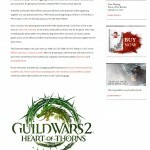 Co-branded sale announcement on licensed statuary and other products based on the Guild Wars 2 universe. 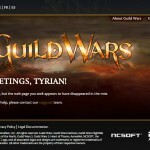 A lore-centric 404 error developed for the Guild Wars site. 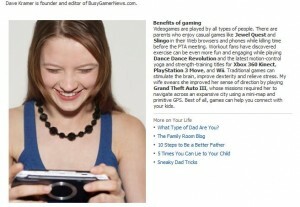 #1: I created a “viral” campaign that offended our customer base. The marketers went for brevity to ensure re-tweeters would have room to add their own goodwill messages. Customers read it as borderline blackmail – “buy our product or we won’t feed a starving child.” The campaign went viral as users took to their Twitter, Facebook and blog accounts to express horror and outrage. Kellogg’s UK deleted the original tweet and issued a heart-felt apology tweet, but it was too late. Thousands of retweets and screen captures can be found online nearly a year later, and the tweet remains one of the top search results for the company. Look at it with your “customer” eyes. Consider how you personally would react to the language and/or images used if you didn’t have the complete marketing story. Ask someone else. Find a coworker who isn’t directly involved with the campaign or cause to review your materials. He/she will see things you can’t. Wait a day. Put some space between when you write the Tweet or post and when you put it out in the world. #2. I created a hashtag that isn’t being used consistently. Hashtags (#example) are everywhere in advertising and on screens. A successful hashtag can be used to see what customers are saying about your product (good and bad) and to track success. There are several issues that can arise around hashtags, so we’ll choose one: the poorly executed hashtag. …and that’s just a small sampling. That’s an extreme example, but it does show how complicated social media can make your campaign. (For the record, the official hashtag is simply #Oscars.) Of course, one good stunt can overcome confusion. 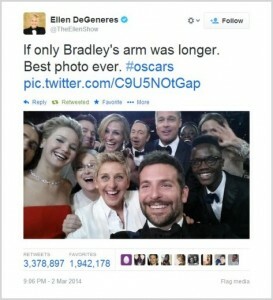 See: Ellen’s selfie with Bradley Cooper and other stars. Easy to remember: You’re asking customers to do you a favor. Give them something easy to remember, or they will make something up. Easy to spell: Leave your thesaurus behind and use short, simple words. This will increase the odds users will tap into your hashtag. Keep it short: Short hashtags are considerate to your users. They are also critical for Twitter. Publicize it: Don’t assume users will go digging for your hashtags. Choose a hashtag that can live for months and integrate it into your overall campaign. Integrate it into your packaging, put it on your ads and use it consistently in your social media. #3. I posted an item that came off as clueless or offensive. Keep an eye (or ear) on the news. For social media managers, the news can be your best friend – or worst enemy. Check the news throughout the day. 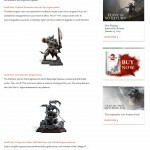 Sign up for news alerts from multiple locations. When major events do occur, review your recent social media postings for any unintended consequences. Don’t be afraid to pull materials. Better to lose impressions now than to leave a bad impression in the long-term. Put milestone dates on your calendar and plan around them. Certain dates have become synonymous with tragedy. Put those dates on your scheduling calendar and be sensitive about posting materials on those days. Don’t post company announcements or “What’s everyone doing” type materials on days of remembrance. Be careful what you post. 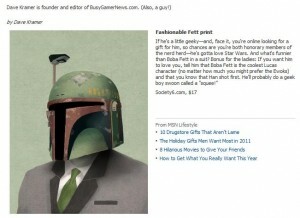 Even the most heart-felt remembrance can come off as hollow or even offensive when published on a corporate account. If possible, just go dark for the day. Social media has the power to build your brand or tear it down. By viewing materials from a customer-centric point of view, providing clear guidance to the customer and managing the long-term message, you can increase the odds of success. What creatives rarely talk about is the impact that work can have on their personal creative projects. The writer who never quite gets around to working on the novel or screenplay she started years ago. The designer who hasn’t touched a paintbrush or pen that wasn’t attached to a computer in who knows how long. The list goes on and on. Simply put, when you spend all day writing or designing, it can be difficult to get excited about doing more of the same after hours. Bringing your creative a-game to work doesn’t have to mean giving up your artistic soul, however. You just have to find a new outlet. For me, that outlet turned out to be cooking. My husband is the default chef in our house, but I try to get in at least a few meals a week. I’ve noticed over time that my contributions in the kitchen increase dramatically whenever I feel particularly stressed or creatively spent at work. After an intense day writing about technology, my mind begins to wander the grocery store aisles to the point that meal planning isn’t a chore – it’s an outlet. Particularly intense projects can result in me banishing everyone from the kitchen so I can create some personal Chopped challenges of my own. That’s not to say I’m always successful. I’ve made some terrible dishes through the years, often when I was just so physically spent that I couldn’t see (or think) straight. I’ve written some rather dreadful things in my life as well. Learning from mistakes is just part of the creative process, no matter what the medium. Plus some of my dumbest mistakes have led to some of my best ideas. By finding a new outlet for my creativity, I have freed myself to enjoy my work again. There are still days when producing copy on a deadline or about a topic that is relatively new to me can be challenging. But somehow, knowing there is a beautiful piece of fish or bounty of bell peppers waiting for me in the kitchen gives me the inspiration I need to finish the day on a creative high note. Although the bulk of my work today is in marketing, I do occasionally venture back to my journalism roots. I recently wrote a piece for MSN about two motorcycle enthusiasts who happen to be female. The piece was just one small part of a larger content package focused on “A whole new you.” The content package contained the usual borderline stereotype material – get a makeover, change your wardrobe, etc. – none of which is in my wheelhouse. (Well, possibly the wardrobe – I do have a background in clothing.) I was even less qualified to talk about motorcycles. I’ve been on a motorcycle a grand total of once in my life. I was 7 years old and living with relatives, including three uncles who were all Harley men. For some reason, one of them decided I needed to feel the power for myself. (I might have asked, I honestly don’t remember.) The daredevil of the group slapped his extremely oversized helmet on my head, suggested I put on shoes, and lifted me onto his hog. We circled the neighborhood a few times, popped a wheelie and then returned home, where I”m I promptly passed out on the lawn. That was the beginning and the end of my motorcycle adventure. Fortunately, I found two women who were much more qualified to share what the view is really like from a bike: Kathy Gill and Tessa D’Uccelli Blu. Both women had astounding, emotional stories to tell. When it came time to write, I encountered a problem I haven’t had in a fairly long time – I had a difficult time cutting down the material. I would have loved to included every detail, every side journey, every tale these ladies told me, but I just didn’t have the space. It’s a good problem to have as a writer. It is also a difficult one. What you will read online is a snapshot of each woman’s journey. I hope you enjoy the ride. Our consulting business shifts from time to time. Sometimes we’re heavy on content creation, other times community building, and - right now – we’re focused on marketing support in the videogame industry. This means spending a lot of time considering different market segments and how to effectively reach them with a message that customers want so they’ll gladly take the action that our client wants them to take. Not one to miss an opportunity to improve the depth of understanding in a major area of our work, I attended the session at PAX Prime 2011 on market segmentation. I learned some things, including how the industry is beginning to embrace psychographics (what motivates segments of customers to take the actions they pursue rather than who they are) and how it’s OK sometimes to shoot from the hip if you know your audience really well. Why does it have to be ‘fine print’? Make it big! There may sometimes be gaps in our postings when business is particularly good, as it has been these past several months. But we always try to look for lessons in our work that we can share. For example: I’ve been doing marketing support for a major technology company. This generally means I do whatever needs to be done to help marketing meet its goals. But one of my unique selling points is that I’m also a perceptive customer advocate. In fact, I find it difficult NOT to see the customer perspective in everything I do. It’s just how I’ve become wired after years of working in this space: interacting with communities, absorbing composite customer personas, watching focus groups and usability tests and, more recently, monitoring reactions to what I do on social media. In a recent marketing campaign that I managed, I noticed customers on Twitter complaining that they didn’t know how they would get their bonus items. The answer was right there in the Terms & Conditions but it was so tiny that many folks couldn’t read it. So I asked our designers to start making the fine print larger. It’s an idea that I believe really should catch on. The days of hiding “gotchas” in teeny tiny type are mostly over, or so I’d like to think. If there’s something shady going on, the Internet usually sniffs it out and spreads the word quickly and aggressively. Instead, I think that Terms & Conditions should be easily read and consumed as part of any offer perusal. In fact, knowing all of the limits and fulfillment details may actually help sell customers, and could even earn their trust. For one thing, it shows the seller has nothing to hide. And second, it should answer any key concerns the customer might have. Ideally, all of these details should be part of any carefully considered marketing pitch. In the glory days of advertising – which I studied intensely to improve my skills as a headline copywriter – ads were text laden and often filled two or more pages. And advertising studies show that more text can actually be more convincing than less. So let’s put it all out there for everyone to see. 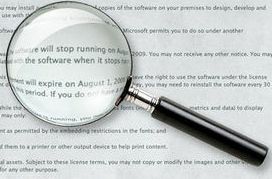 Now if we could just do something with all of those impenetrable End User License Agreements – which arguably are TOO LONG and could use a good summary and be easily reviewed, browsed and, dare I say, skipped. But that’s a fight for another day. Whether you plan to be out for a day, a week or the entire month of December, your absence can have an impact on those left behind. Here are 6 simple steps you can take to make life a bit more pleasant for those who have already used up their vacation. Remember, your vacation days might not roll over, but brownie points scored with coworkers last forever! Thank you for your mail. I am out Dec 1, 2010 for a vacation day. I will be back in the office on Thursday, Dec 2. If you need urgent assistance, please contact Dave Kramer (email @ writersbloc.net). Thank you. The phone extension or phone number for the coworker covering in your absence. Hello, this is Jacqui Kramer, owner of The Writer’s Bloc. I am out Dec 1, 2010 for a vacation day. I will be back in the office on Thursday, Dec 2. If you need urgent assistance, please dial zero and ask the operator to connect you with Dave Kramer at extension 425. Thank you. Also, turn your phone ringer off before you leave – especially if you are in an open environment. Nothing drives coworkers crazy faster than an unanswered phone. 3. Make a note of all key passwords (or reminders). If you’re going away for several weeks, consider making a note of your passwords – or clues to your passwords – somewhere safe. I once took a three-week vacation, secure in the idea I couldn’t possibly forget my passwords in less than a month. I did. My first morning back was spent with a tech support person, who eventually cracked my computer. 4. Set expectations with your clients/customers. Always let your clients know about planned absences ahead of time, even if they are just a day. For more information about setting expectations, see I’m not there: Five ways to check in when you’re checked out (for vacation) . 5. Set expectations with coworkers. I have received a number of calls over the years that began with “(name of coworker) said you’re covering (name of project) while he/she’s out…” A surprising number of these have come out of the blue – because the vacationing coworker didn’t mention that I was on point while he/she was out. The worst was a phone message I received while I was out on vacation myself… because the coworker hadn’t checked to see if I would be around that week. Needless to say, the caller was not amused by the daisy-chained out-of-office messages. That’s certainly a candidate for worst-case scenario, but it can get worse. I once got the call about a project that had not been made public. It’s a bit difficult to answer questions or provide assistance about a project you didn’t know existed. Don’t put your coworkers in that position. They will not be happy, and you will both look bad in the eyes of the client/coworker in need of assistance. Contact your designated contact and ask them for help at least a few days before you leave – and take time to debrief them. Leave written notes outlining where to find information (document folders, forwarded emails, etc.) and set expectations regarding what they should – or should not – do while you’re away. 6. Remember your coworkers while you’re gone. The last thing you want to think about on vacation is work – but it never hurts to spend a few moments considering your coworkers. I once worked on a team of about 12 people, all working to launch a major project in the last few weeks of December. Needless to say, there were not many vacation requests being granted. One coworker had already been cleared to take three weeks off in December for her wedding/honeymoon (scheduled long before the project). We didn’t begrudge her leaving, but we definitely felt the loss of a key person in those final weeks. The project launched, and everyone on the team received a lovely congratulatory email from halfway around the world where she was vacationing! When she returned, she brought a bag full of small trinkets (keychain and magnets) from her vacation. Everyone received a small gift, and the person who took on her extra work received an extra nice gift on the side. The small gestures – the email, a bag of trinkets most likely bought at the airport – meant a lot to a group of coworkers who didn’t spend December in a tropical paradise. It was by no means necessary, but it did rack up a lot of good karma points with the team. She also happily covered for many on the team when it was time for others to take their own vacations – an extra bonus that didn’t cost her anything, but certainly earned a lot of good will. Oh, and nearly a decade later, I still have that keychain. Management and the union are back at the negotiation table as I write, but it’s clear that workers in the trenches – the people who put out your produce, scoop your deli, cut your meat and process your transactions – are expecting to hit the picket line any day. As in, just in time for Thanksgiving. This blog post is not about the issues behind the strike, however. It’s about the far-reaching ramifications that a strike could have – and how strike supporters can help alleviate them. ISSUE: Food Bank donation bins don’t get filled. Food banks across the country are in dire need year-round, but are often forgotten except for the November/December time frame. Food bank bins appear at almost all of the chains set to be affected by the strike. Fewer customers to those stores that heavily promote charity bins will result in lower donations. Out of sight, out of mind. And yes, there are plenty of alternative grocery stores – including some I will be patronizing myself – that do not sponsor food drives. SOLUTION: Donate cash to your local food bank. Food banks can stretch your dollar farther than you can at your local grocery store, so donating cash is always appreciated. They can also use it to buy perishable items (e.g., fresh meat, milk and vegetables) that are in great need but cannot be deposited in the bins. ISSUE: School gift card sales lag. Gift card sales are a big fundraiser for area schools, including our son’s elementary. We have routinely stocked up on Fred Meyer/QFC cards to have on hand for weekly groceries, including a handful purchased before summer break. The gift card team recently promoted the idea of stocking up on gift cards for several grocery store chains – including strike targets – before doing the Thanksgiving shopping. We have stopped buying the cards in anticipation of a strike, meaning dollars spent there (pre-strike or if the strike is averted) won’t go to our school. SOLUTION: Think outside the grocery store box. Assuming your school uses a fulfillment program, you can get much more than grocery store cards. Our program also offers many major restaurant chains (Red Robin and Outback Steakhouse), retailers (Gap) and even online gift cards (iTunes and Amazon.com). Our school’s program even carries gift cards for online services, such as iTunes and Amazon.com, that can be slipped into a card for an easy gift. ISSUE: Older citizens have limited mobility – and their local store is on strike. Several stores likely to be hit by the strike also serve a large senior citizen group. Being the home of Boeing (among others), Seattle has a lot of old school union supporters who will shop at 7-11 before they cross a picket line. This has been evident in the past week, as older citizens have been filling their carts with large volumes of non-perishables – much more so than the average shopping trip. I heard one gentleman apologize in advance for crossing the picket line – he’s on a tight budget, and can’t travel to other areas. SOLUTION: Have a heart. If you know someone who would prefer not to cross the picket line but can’t get to a store outside of the strike, offer them a ride. Or, at minimum, do not judge them if they do cross the line. While some may not care, others may be feeling the pain deeply enough without being called names. The managers at the non-disputed stores no doubt see the strike as an opportunity to pick up new customers, and are pressuring their workers to make this the best, brightest holiday ever for all their new (albeit temporary) clientele. The deli worker seemed to anticipate staying past closing time to ensure every customer is served. It would not surprise me a bit. SOLUTION: Be on time… and patient. Be thankful you don’t have to work Thanksgiving – and give those that do a break. Don’t show up two minutes before the store closes and insist you “just need one thing.” Check your pantry when you get up and make the last minute trip early in the day. Take something to entertain yourself in line, and be nice to the workers. Come to think of it, that’s good advice even when there isn’t a strike. Entries (RSS) and Comments (RSS). 24 queries. 0.338 seconds.